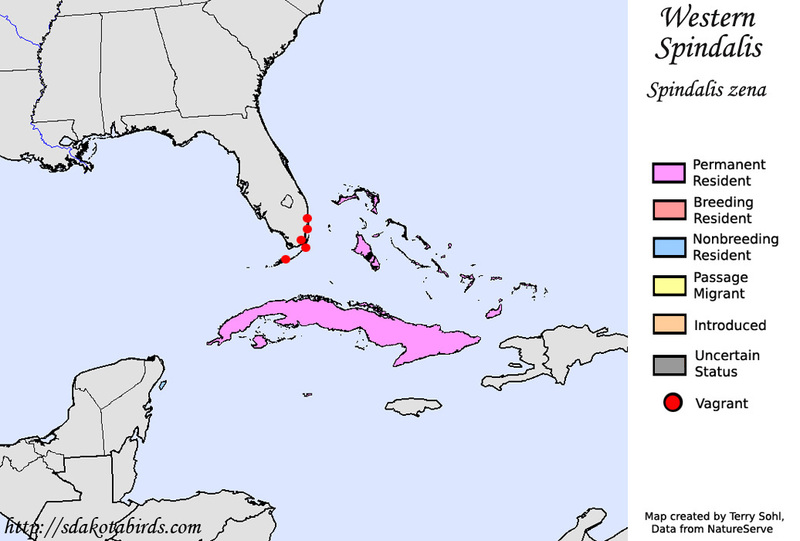 Distribution: Bahamas, the Cayman Islands, Cuba, and the Turks and Caicos Islands. Size: 15-18 cm in length. Plumage: Adults have distinctive black and white stripes on the head and face, with an orange collar, breast and rump. The underside is light gray and the tail is black with white outer feathers. The back coloration varies from black to greenish-black, with large white flashes on blackish wings. The legs are gray and the eyes are black with white eyelids.